Coronation Road is the main connection between Waroona, Preston Beach and Lake Clifton. It will be widened and upgraded from a single lane to two lanes. 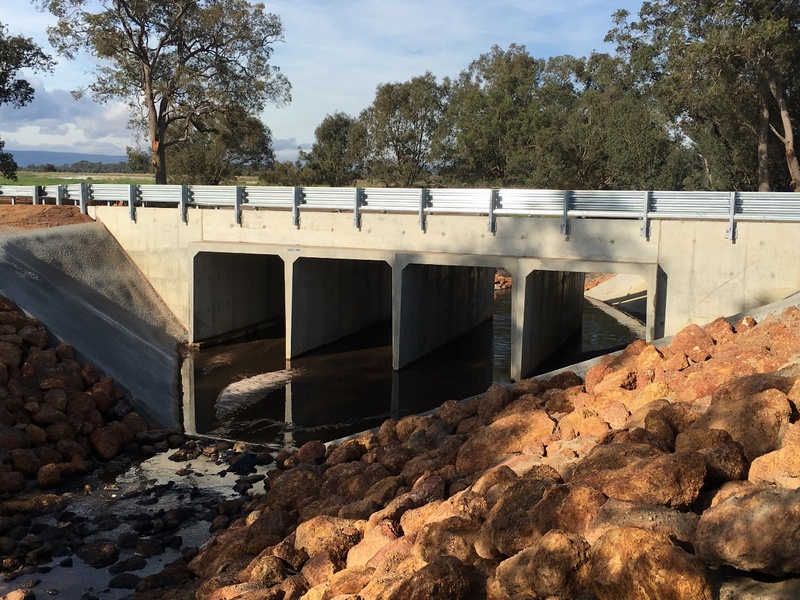 This was an important regional project because not only is the road commonly used by local residents, it is also the key access route for emergency services in Waroona to reach the shire’s coastal localities. It will reduce travel time for local industry and emergency services. MJB Industries products supplied 36 x 3000mm x 3000mm x 1.20m MRDWA Box Culverts manufactured to 1597.2 and Main Roads Specification 404.